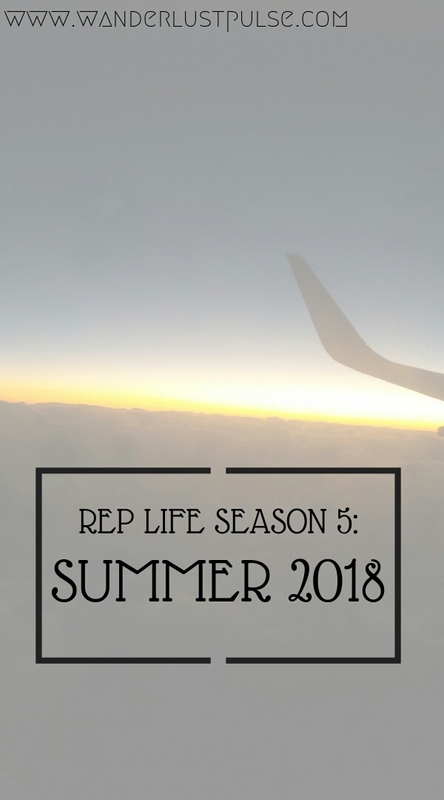 It’s crazy that I’m writing about Season 5 before Season 4 has even begun but it’s that time of year again when we find out what is in store for Summer 2018. Picking our choices this year was harder than others. In previous years, it was tough to narrow it down but this year, it was tricky to pick a top three. It’s more difficult to find couple placements, you have to weigh up a lot more. Destinations with smaller teams are less likely to be given to us, some resorts are very independant meaning we would be separated and then there are driver’s only destinations when one of us doesn’t have a license. This year, both of us were ready for a bigger adventure and fancied taking on longhaul. Sadly, for UK reps, longhaul is limited to Mexico or well, just Mexico. With visas in longhaul destinations, local reps are often hired instead as English speakers are easy to come by. Say however I spoke French or German, I would have my pick of long haul. Mexico is a sought after destination for UK reps but few get it. If you want it, you have to work for it. You need great sales, great service, a great score and glowing reviews from your management. My first two years, I scored 4/5. To be honest, that is an amazing score, it’s well above average and people do get Mexico on a 4 but I thought it was a long shot and a wasted choice so never put it as an option. This year however, with my score a 4.8 and Ash’s an amazing 5/5, we pretty much had it in the bag. The trouble with Mexico is, it’s a very independant destination. Every one is spread out, every one lives in hotels and very few people live together. We went back and forth a lot about whether we wanted to risk putting it and being separated. In the end, we decided to put it as our first choice. If we didn’t put it as an option, we had zero chance of being in Mexico together but at least we had that slim chance if we put it down. For our second choice, we put Cyprus again because at the time of applying, we were still head over heels in love with country. Don’t get me wrong, I still am now but towards the end of the season we worried that we had made the wrong choice as we have pretty much exhausted the island and it’s also really long working hours. The third option was tricky but we ended up picking Skiathos. I don’t really know a specific reason why but we both liked the idea of it. So there we are, our choices for Summer 2018 were Mexico, Cyprus and Skiathos. With our scores, we were pretty much guaranteed Mexico surely… but we got Cyprus. Honestly, at first, I was pretty disappointed. In the back of my mind, I knew Mexico was a long shot and we would get Cyprus but I still felt let down. What is the point in working so hard and getting two of the best scores in the company if you don’t get the destination you want? I felt like the system was flawed. Then came the self-doubt. Ash had a glowing season of 5/5, the perfect score. Where I fell down to 4.8 was my sales, I scored on target instead of above target and Mexico are big on sales. With couple placements, it goes off the lowest score, on this occasion, mine. And so for a brief moment, I thought I was the one who had let us down. But then Ash made me realise that Cyprus is a great placement. We love it there, it became our home, we had our first apartment together there and some amazing memories. The more I think about it, he’s right and now I’m more positive about going. The island is beautiful and while there is a lot we have done, there are still things to do. We have friends there, actual real life friends not just rep friends. We know the island so there is nothing new to learn and it’s decent money. I do love it there, he’s right. For the blog, it will probably mean less content as I will have less to explore so I can sense a slight change in direction but that’s ok. Life is the adventure, not just my travels so I’m sure I will still have a lot to talk about. In hindsight, we don’t know why they didn’t give us the placement. It could just be because we couldn’t be there together. It probably has nothing to do with us and more to do with the fact that they couldn’t put us together. In that case, fair enough, I would rather be with Ash. So 2018 consists of Gran Canaria followed by returning to Cyprus. I’m happy about it. Cyprus is my home. We’re heading home. This blog post was not sponsored or endorsed in any way. All opinions are my own and just that: opinions. Thanks for sharing your post, I can imagine it must be testing like any industry however that despite you not getting Mexico, Cyprus is a wonderful place, I actually really like both places. I’m sure you’ll have a wonderful time! Even though you didn’t get your top choice I really do hope you have another brilliant season in Cyprus! I can’t wait to see more beautiful shots of Cyprus on your new Olympus Pen camera! Aw it is a shame that you didn’t get your first choice, with amazing scores like those I am shocked that Mexico didn’t snap you up immediately! Neither you nor Ash let each other down though, you’re both clearly amazing at your jobs – it obviously just wasn’t meant to be this time! Cyprus will be amazing again I’m sure, it’s a place full of wonderful memories for you and you will no doubt create many more!